The Impecca DVH-9117 is a great addition to any home theater. It is progressive scan and has a compact design making it easy to fit almost anywhere in your home entertainment setup. There is a 2-channel output for the DVD player and is compatible with DVD/VCD/CDDA/CD-R/CDRW/MP3/HDCD/JPEG/Kodak formats. It also features component video output, a built-in PAL/NTSC system, and a fully functional remote control. 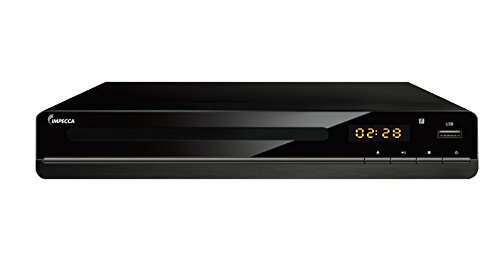 A great addition to any home theater A Completely New Dimension in Video Entertainment This DVD player offers many useful features that can take your home entertainment to the next level. A multi-angle function allows you to choose the viewing angles of scene (for DVD with multiple camera angles only). Compatible with PAL and NTSC DVDs This player can play discs recorded using either the PAL or NTSC system. Compatible with CDs, CD-Rs, and MP3 For increased versatility, this player can play various discs besides DVDs, including 8cm and12cm CDs. The player is compatible with recordable CDs (CD-R), and you can even play your digital music burned to a CD-R, allowing you to enjoy your MP3-format files through your home theater system. If you have any questions about this product by Impecca, contact us by completing and submitting the form below. If you are looking for a specif part number, please include it with your message.